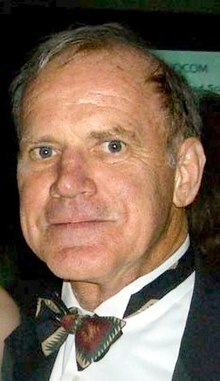 Kary Banks Mullis (born December 28, 1944) is an American Nobel Prize-winning biochemist. It’s not even probable, let alone scientifically proven, that HIV causes AIDS. If there is evidence that HIV causes AIDS, there should be scientific documents which either singly or collectively demonstrate that fact, at least with a high probability. There are no such documents. Spin Magazine, Vol. 10 No.4, 1994. Dancing Naked in the Mind Field, 1998. Where is the research that says HIV is the cause of AIDS? There are 10,000 people in the world now who specialize in HIV. None has any interest in the possibility HIV doesn’t cause AIDS because if it doesn’t, their expertise is useless. People keep asking me, "You mean you don’t believe that HIV causes AIDS?" And I say, "Whether I believe it or not is irrelevant! I have no scientific evidence for it." I might believe in God, and He could have told me in a dream that HIV causes AIDS. But I wouldn’t stand up in front of scientists and say, "I believe HIV causes AIDS because God told me." I’d say, "I have papers here in hand and experiments that have been done that can be demonstrated to others." It’s not what somebody believes, it’s experimental proof that counts. And those guys don’t have that. Celia Farber: "Interview Kary Mullis", Spin July 1994. Focuses on his position regarding HIV and AIDS.